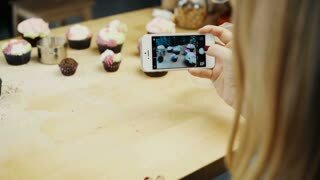 Close-up view of female taking photos of cupcakes with she has baked. 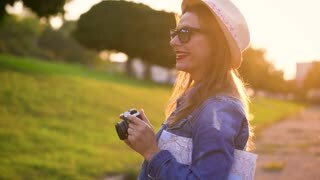 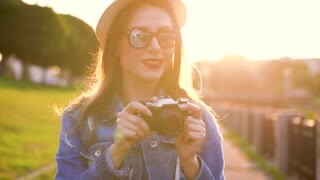 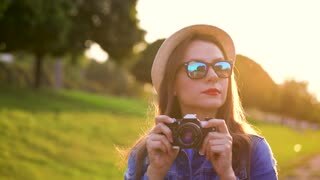 Young woman using the camera on smartphone. 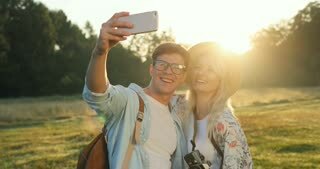 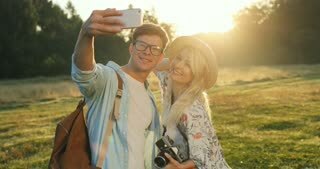 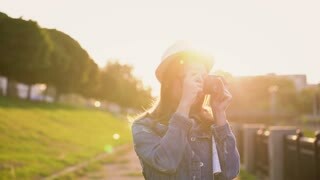 Close up of the joyful young boyfriend and girlfriend taking nice selfie photos on the smartphone camera and kissing in the beautiful nature in the field.